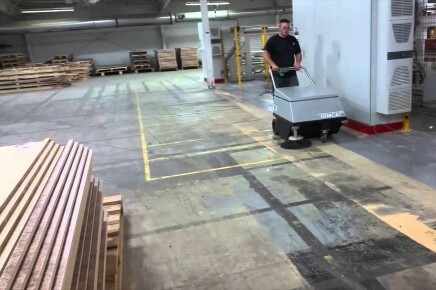 Warehouse floor cleaning with an industrial battery powered scrubber drier, sweeper or scrubber sweeper from ScrubberDrierHire. 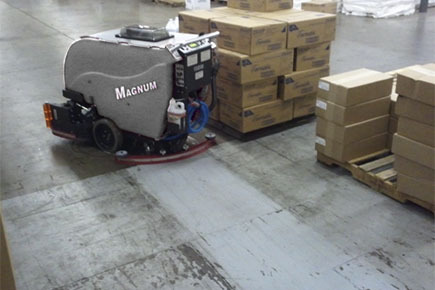 Warehousing and distribution holds unique challenges when it comes to floor cleaning, only the highest performing scrubbers and sweepers will handle this tough environment. 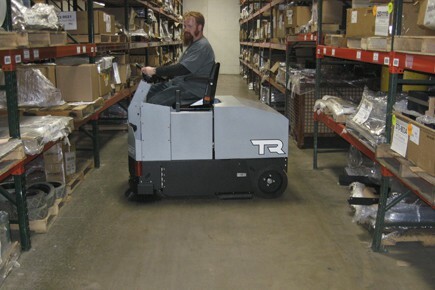 Our range of TomCat & FactoryCat walk-behind and ride-on floor cleaning equipment is hand built tough in the U.S for fast efficient cleaning. dust and debris is removed in a single pass by the rotating brooms, with a powerful vacuum system for industry leading dust control. 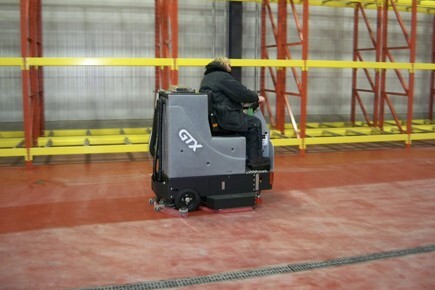 FactoryCat sweepers are known for their productivity, ease of use & simple operator friendly controls, for fast effective warehouse floor sweeping. For a deeper clean removing a build up of grease, grime and fork lift truck tyre marks from a range of warehouse flooring. our hire scrubbers are all battery powered, American made & built tough for industrial environments.